Announcement: Counter Weight Brewing will graciously host CT Hops for Hope’s Beer’s for Brittany event on Sunday, April 23rd. 100% of proceeds will go to Brittany Vellucci who is bravely undergoing cancer treatment. Many of your favorite breweries will be pouring. Ticket information coming very soon! 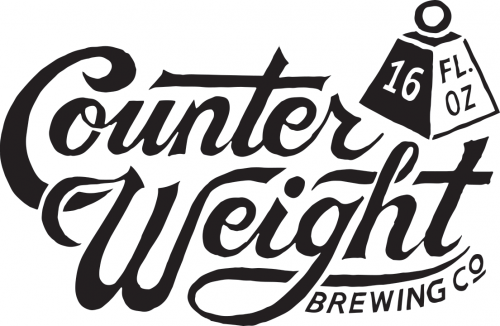 Counter Weight Brewing Company will be open before you know it is now open in a retrofitted gym at the bottom a cul-de-sac in Hamden. 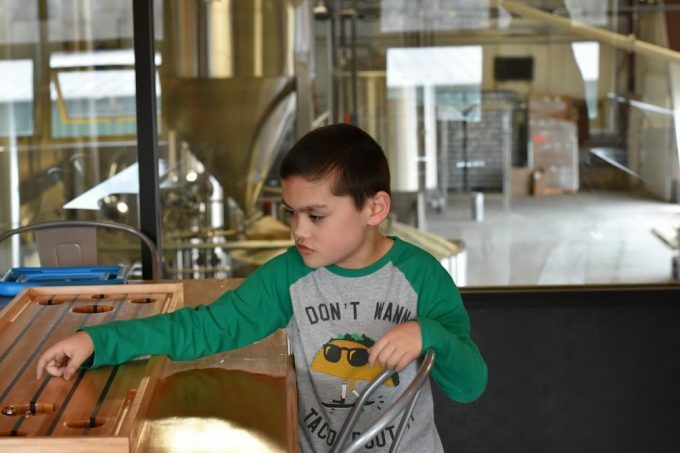 In Connecticut brewing circles, there has been a palpable buzz surrounding Counter Weight since last August when Matt Westfall surprised the beer community by announcing that he was leaving New England Brewing to strike out on his own. In his decade of work, Matt has made an indelible mark not just on Connecticut brewing, but regionally as well. 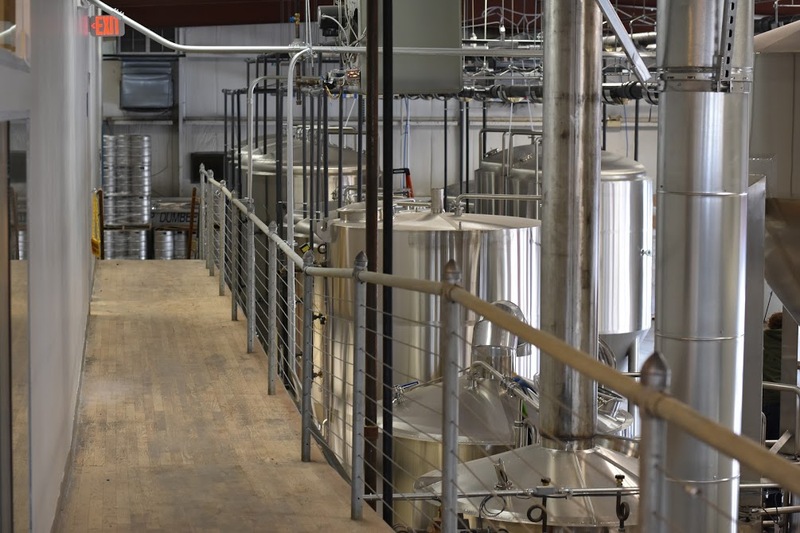 Considered one of (if not the) top brewery in the state over the last decade, NEBCO will continue to impress but will certainly miss Matt’s expertise and direction as a part owner. 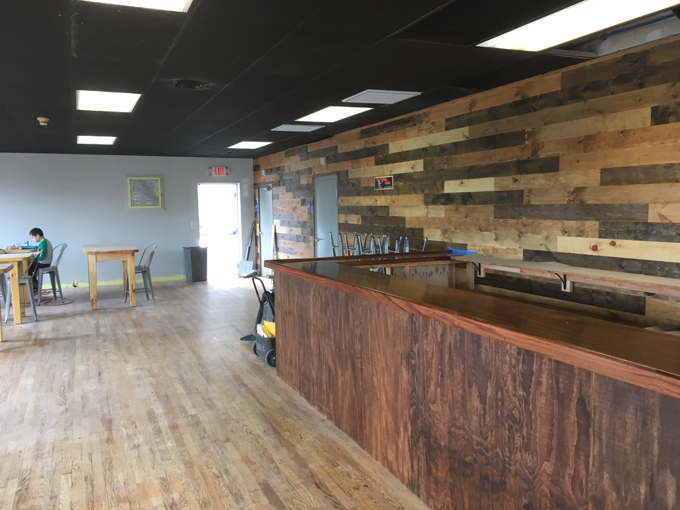 And now, Matt’s Counter Weight Brewing will shoulder the expectations that come with being owned and operated by one of the most respected brewers around. Matt is quite simply one of the kindest and most humble people you could ever hope to meet. 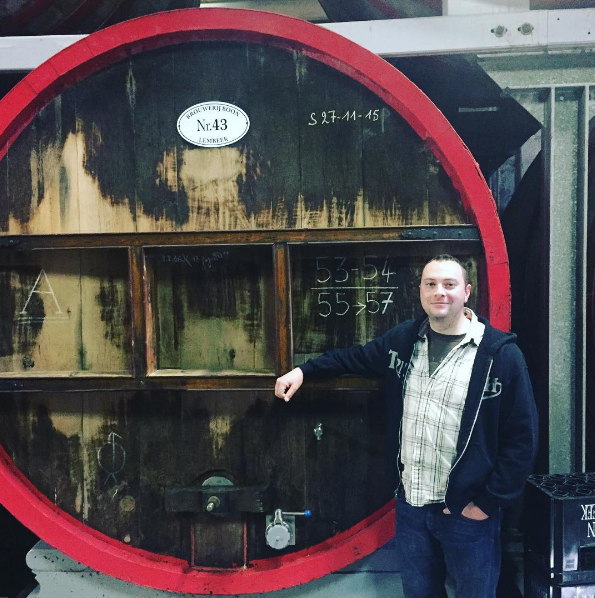 He is appreciative of everything he has and in the professional circles, Matt is known as one of the most helpful brewers in the area. I’ve heard many stories from other breweries that needed hops in a pinch, a shoulder to cry on, or urgent advice and Matt is universally respected as the go-to guy for all of that. Straight up, he’s just a really good human. 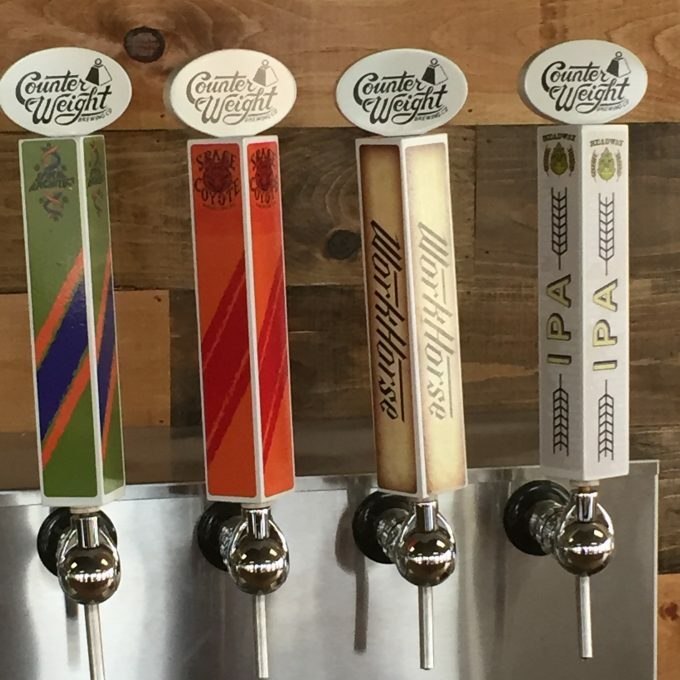 With one beer released to distribution already (Headway IPA), Counter Weight is off to a roaring start. Thanks to Matt for taking half an hour during an incredibly busy run-up to his grand opening to chat. CTMQ: Hey man, how’s it going? 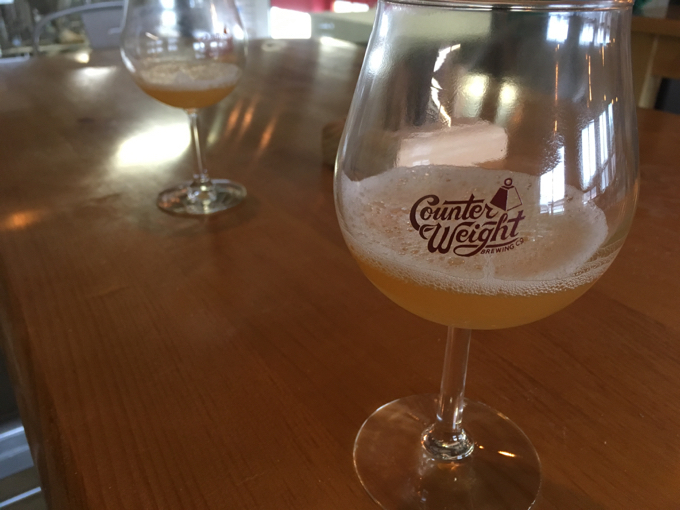 Matt Westfall, owner and brewer of Counter Weight: Good! Super busy of course. The Headway IPA that was released through distribution is perhaps the first non-DIPA, non-citrusy, non-hazy, non-NEIPA that got people in the “scene” overly excited. I found that pretty cool. Well, we tried really hard NOT to make a NEIPA. I’m glad people like it. We’ll see. If it all works out and people like our beer, we’re in position to make somewhere in the ballpark of 4,500 to 5,000 bbls this year. You’re a Connecticut boy. Where did you grow up? Counter Weight is bigger than you thought. Oh yeah? Do you get back up there much? Very rarely; most of the people I knew there are gone now. Damn Bristol. I’ll pour some out for your homies. (Laughs) No, no, they just don’t live there anymore. Alright, so after Bristol you lived on good ol’ Puddin’ Lane in Mansfield. I’ve been to Puddin’ Lane to start a hike once. Anyway, you were in a band back then, right? (Laughs) I wouldn’t call it a band. We’d just jam. I lived with lots of musicians and I was by far the worst musician in the house, but I wanted to play music because I’m a huge music fan. Some local guy knew a local kid who played drums and whenever we’d come home from work or school someone would be jamming on the couch. We never played shows or anything. (Laughs) Yeah. I’ve always been into the local music scenes going back to Bristol and we’d always find little places for bands to play. 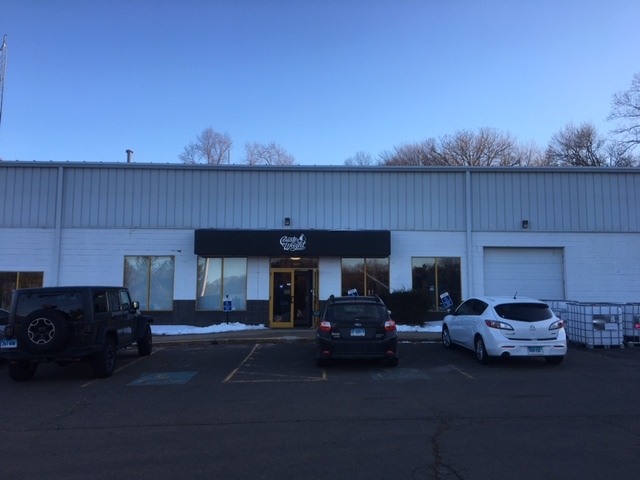 The CT Bike Shop in Bristol was one, and then some VFW halls and places like that. A couple buddies of mine were always looking for new places to play and they would rent some storage garages behind Popeye’s Chicken on Whalley Avenue in New Haven and get some bands to play there for 5 or 10 bucks or whatever. Haha, yeah, Tony has slightly more interesting musical tastes than I do. And he was this kid who used to show up to see some loud punk bands in a storage garage with these crazy corked bottles of beer and drink them from wine glasses and stuff. He’s a great guy. That stuff was in 2010/11 or so, but let’s go back to college and your stint in Portland, Oregon. After everyone graduated, I took at trip out to Vegas, San Diego and then up to Seattle. On that trip I spent some time in Portland, Oregon and just fell in love with it in the two days I was there. So I came home, packed up my car and lived in Portland for almost two years. It was tough because I didn’t have a stable job out there. So I decided it was time to come home and started the American Brewer’s Guild program and once I graduated from that program I started looking for an internship somewhere. But back up a second… You must’ve done something with beer in Portland, right? I volunteered at some random places and I was a beer salesman and I’m a terrible salesman so I was cruising around downtown Portland a lot and the beauty of that was I was fortunate enough to meet some really amazing people in the craft beer industry. Pretty much legends at this point. One of my accounts was the Horse Brass Pub which was owned by Don Younger. Don was an icon when it comes to the beer world. [CTMQ: He has since passed away.] Getting to know him was great and I learned a ton from him. I’m friends with a woman who recently moved to Connecticut from Portland. She’s still angry about our beer scene because she’s used to Portland where literally every brewery MUST serve food as well. 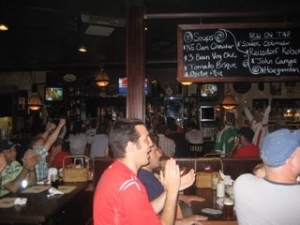 Not to mention full pints. That just sounds crazy to people here – how would a small start-up brewery also support kitchen and all that comes with serving food? It is true. That’s the law there. 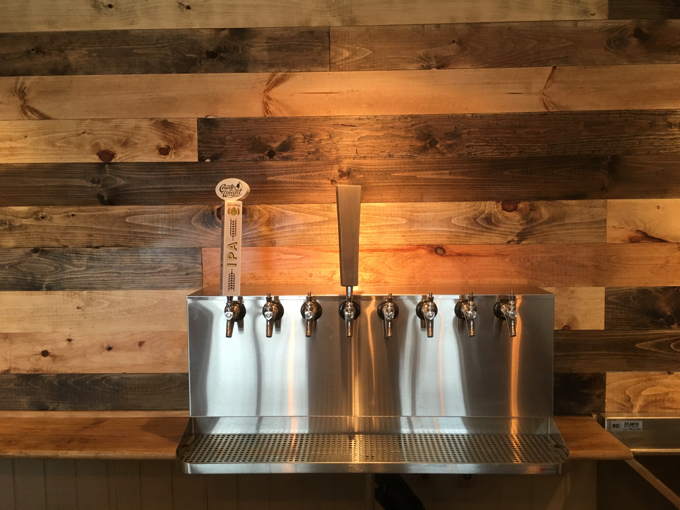 And every neighborhood in Portland has a bunch of little brewpubs. One of my favories in NE Portland where I lived would just have a little grill outside and their menu would just be grilled hot dogs that no one would really ever order. So there are ways to get around it – or at least there were back when I was there 10 years ago. It was all just so homey and fun. Just a great place. I had the choice between Dogfish Head and New England Brewing. I liked the idea of a smaller place and of course that it was in Connecticut where my family is, so I went to intern at NEB in late 2007. And how quickly were you able to put your stamp on things there? I’d say it was early 2009 I was able to start doing batches. My first two beers at NEB were Alpha Weizen and Gandhi-Bot. I’m wondering about Sea Hag; it had a major recipe change maybe 6 years ago. Was that you? I always liked what Rob [Leonard, owner/brewer at NEB] was doing at NEB which is another reason why I wanted to intern there. Rob trended towards more English style ales and as much as I love those beers, the craft consumer was changing and I started seeing those things happening, so with Rob’s blessing – and he was super supportive and totally on board – he allowed me to make some changes to that beer. My plan was make Sea Hag a beer that would be for the new craft consumer so we changed up the malt and yeast profile and used some newer school hops and made it more aromatic. It was tough because we didn’t have the hop contracts and these were sort of experiments, so it took a long time. But we were able to do it over the course of a couple years. And thank you for that. Sea Hag is the only beer that’s always in my fridge. It’s perfect in every way. Just weird that now I may shift a bit to Headway. We’ll see. You make no secret of the fact that Elm City Pilsner was always your favorite NEB beer. Care to provide an epitaph? Oh man, it’s tough to say everything I’d want to say about that beer. I just loved it so much. Especially on a hot summer day in the brewhouse, getting some Elm City out of the brite tank was just … the best. I will always remember that very fondly. One last NEB question. Can you tell the story of how Ghost Pigeon Porter got its name? When we were coming up with Ghost Pigeon, I had always wanted to brew a classic porter. Typical of NEB, the beers always just had random names that fell out of Rob’s or Eric’s or Craig’s head. We used to have this pigeon that would hang out in the brewery and we’d shoo it away. One day Rob shooed it away and the next day we saw it dead out back and Eric would joke that Rob killed it and its ghost would come back to haunt us. Hence the name, “Ghost Pigeon Porter” in that wacky, sort of goofball tradition that NEB really adopted when naming beers. You announced Counter Weight in the late summer of 2016. How long had you been planning to make that move? It’s always been in the back of my head. I am very, very thankful for the time I spent at NEBCO and the support of all the guys there. I wanted one more challenge ahead of me and the time seemed right. It was sort of a “now or never” thing and I went for it. From what I can tell, this whole thing has been really well thought out. Let’s start with your logo – can you tell me about it and how it came about? As we were getting the idea down and figuring out what I wanted Counter Weight to be I noticed this artist’s work in some magazines and just fell in love with it. So I sent him an email to see if he might be interested. (He’s Pedro Oyarbide based in Bristol… England). He got back to me really quickly, sent me a bunch of ideas and the one we chose jumped out at me immediately. Sort of classy but rustic in a way, as everything he’s done for me he’s done by hand and I love that. I love the character that comes with that. Does that same aesthetic carry over to all your can art as well? He didn’t do all the cans, but a few. 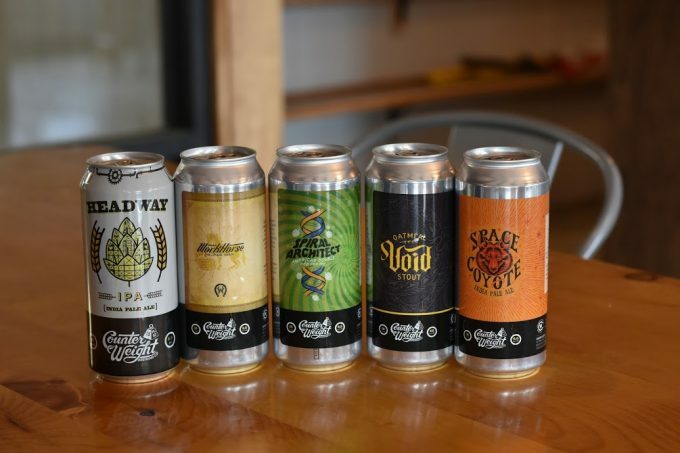 I’ve been able to work with a few different artists including Scott Rogers from Farmington who helped put together sort of the whole template for the cans. It’s cool to see these two artists from two different countries working so well together. Regarding some of your upcoming beers; Spiral Architect, Void, Space Coyote… did you want to be an astronaut or geneticist or something? (Laughs) No, I never thought of that! They’re all just names that come from stuff in my life that I’m into… Space Coyote is a Simpsons reference, Spiral Architect is a Sabbath song, and Void was just something that fit our jet black oatmeal stout. I know you stay away from social media for the most part. Believe it or not, there were some out there who were mad at you for distributing the Headway IPA. Were you aware of that at all? No. Not at all. I stay away from social media for many reasons. Well, I bring this up to lead into a question. Some people seemed miffed that it was going out to stores and of course they were unaware of your size and your distributor’s imprint across the state. These are the same guys who prefer to stand in lines to get whales rather than having great beer readily available. My question is… WTF? I’m of the opinion that people shouldn’t wait in line for beer. Whether a beer sells in 3 hours or 3 days, the business is still making the same amount of money. If people want to wait in line for beer and they like doing that, that’s great. As a brewer, it’s flattering. It’s tough for us to anticipate what’s going to happen at Counter Weight. We have no idea. So we’re just starting off making the beer that we want to drink. The whole idea here is to create some balance. That’s what “Counter Weight” means to me. We want a beer where a consumer who has no concept of what a “brewery release” even means can go to his local store and buy a 4-pack of locally made fresh beer – and if that’s Headway, that’s great – We also feel like the consumer who has gone to those releases over the past few years but now has a kid or two kids and simply can’t anymore, they can still go to the store and enjoy our beer that will reliably be there. On the other hand, we have lots of other beers that we’ll be introducing that will be brewery only releases. We’ve designed Counter Weight with this dynamic in mind. The downstairs area will be specifically for retail; get cans or growlers and go home if that’s what you want to do. 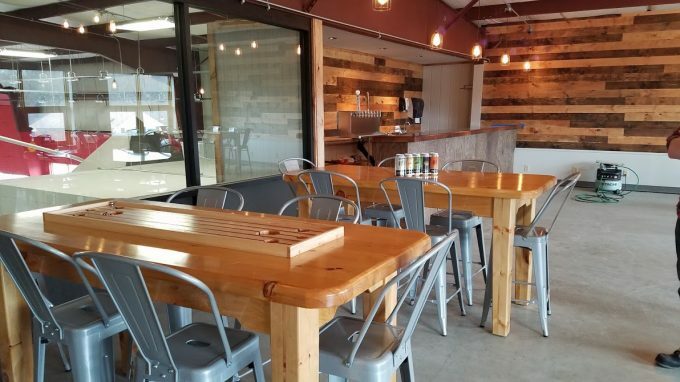 Upstairs, though, is a more relaxed area where consumers can sit down and enjoy a pils or a saison or crack one of the guest bottles we’ll have here and enjoy a nice conversation and not get interrupted by the guy downstairs who’s just there to get a growler or cans to go. Again, that’s the balance we’re trying to strike here with the whole current craft beer culture in mind. We don’t have a crystal ball so we don’t know if this will make sense here or where the culture is going in two years. But we’re designed to be adaptable and hopefully we’ll keep customers happy no matter what happens. Makes sense to me. With two kids myself, lines are anathema. To clarify, your initial plan is to sort of have separate sales channels for the beers that may be more sought after by a certain segment of consumer and then there will be other beers that old heads like me enjoy upstairs and just chill? Yes. I won’t have those beers on tap for pints upstairs. They’ll only be available in cans and maybe growler fills downstairs in a more retail-focused portion of the space. By doing so, I could be creating the very lines I sort of want to limit, but that’s being presumptuous to say the least. I have no idea. Both areas are beautiful, but upstairs is definitely homier, especially with the hand-made gaming tables. Those are dope – how did they come about? My dad has been so supportive of this whole thing since I started and he got his friend, a guy from Ashford named Charlie, to make all those for us. Can customers relax in the sauna upstairs after a tough round of backgammon? The sauna is not operational at this time! But we may put it to use as a bottle conditioning room or something at some point. 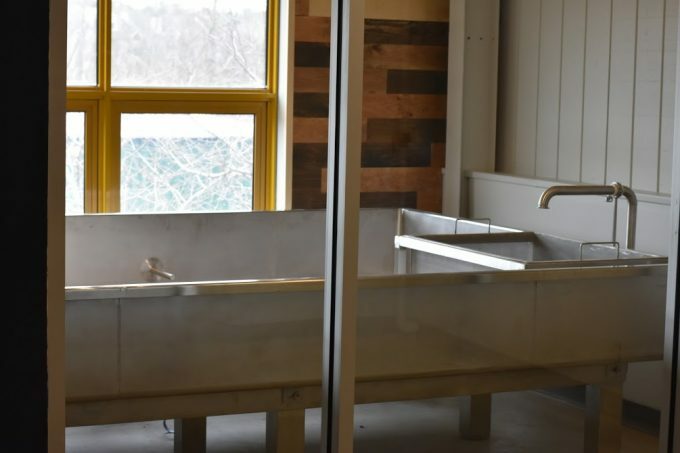 I think you’re the second or third Connecticut brewery with a coolship. Can you tell me a bit about it? I have some passions as far as brewing is concerned and over the couple of years, I’ve really become interested in spontaneous fermentation. I want to try my hand at it and we’ll see how it goes. The beers may be good, or they may be terrible. The idea at Counter Weight is to not just be a brewery that pumps out a few brands, but to keep me and my staff happy and excited, we wanted some toys to play with and the ability to make lots of different styles from lagers to spontaneous fermentations to some mixed fermentation beers. On April 23rd, you’re hosting the next CT Hops for Hope event which will benefit our friend Brittany Vellucci who is going through a rough patch. Just wanted to thank you for that and say that I’m very much looking forward to it. Does this mean we can count on you to pour at the larger CT Hops for Hope brewfest later in the year? Check the website for hours. Huge thank you to Matt for talking with me. And thanks to Chris Krieger for a bunch of the photos. Great interview. Super nice guy and great brewer. I have had all the beers accept the Spiral Arch. and they have all been excellent. Actually enjoying the second Space coyote with ekaunot and simcoe hops and it’s fantastic. He has put together quite a brewery and his business model with headway distribution and some unique brewery only releases is spot on IMHO. Best of luck and he has one big and close by supporter here.